Extremal and probabilistic combinatorics are two of the most central branches of modern combinatorial theory, and they have developed spectacularly over the last few decades. Extremal combinatorics deals with problems of determining or estimating the maximum or minimum possible cardinality of a collection of finite objects satisfying certain requirements. Often such problems originate in other areas, including computer science, information theory, analysis, number theory, and geometry. Probabilistic combinatorics can be described informally as a (very successful) hybrid between combinatorics and probability, and its main object of study is probability distributions on discrete structures. In addition to being the foundation of the study of random graphs and other random discrete structures, probabilistic arguments have proven to be extremely powerful when applied to problems from adjacent fields in combinatorics and theoretical computer science. This workshop will focus specifically on several major research topics in extremal and probabilistic combinatorics, such as extremal problems for graphs and set systems, Ramsey theory, random graphs, and application of probabilistic methods. 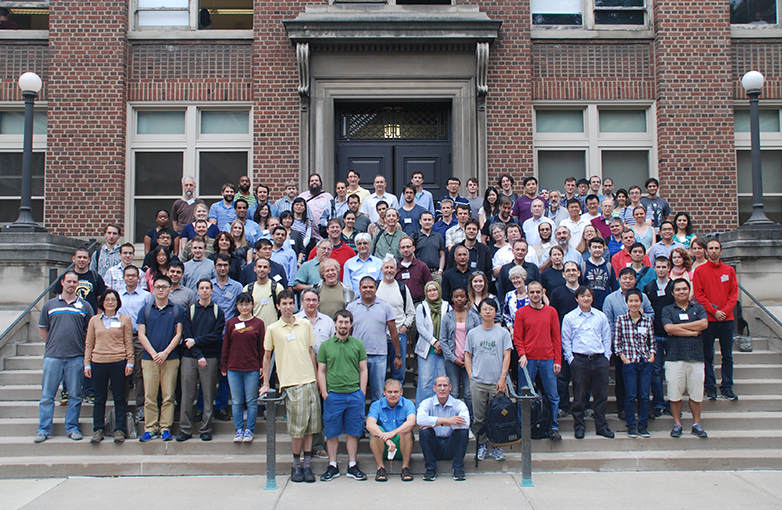 We aim to use this forum to make state-of-the-art probabilistic and extremal techniques available to a broader audience, especially to graduate students and postdocs. A fair share of the talks will thus be general-level survey-type talks, covering both the basic elements and concepts of the field and its more recent advances in a coherent and accessible way. This workshop will bring together researchers representing the whole spectrum of topics, so as to consolidate our knowledge at present and set new horizons for future discoveries. 3:15 pm - 4:05 pm What Does it Mean to Be Free?